If you’re only here to litigate whether this is the right platform for this release, don’t post. If you’re only here to say you wish this was on another platform, don’t post. Likewise, posts that celebrate or gloat over the exclusivity of the games will be moderated. Discuss the news for what it is. System warring will not be tolerated. This thread has been rebooted. Neat. I'll have a look. 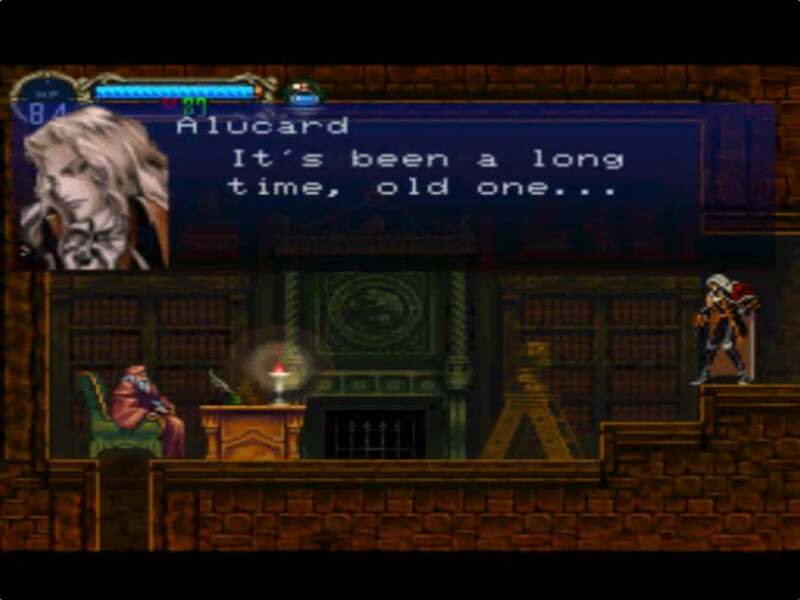 Rondo of Blood is one of the best games of all time, Play Rondo of Blood. So, it seems to be based on the PSP versions emulated on the official PS4 PSP emulator. I've never played Castlevania. Looks like the time to do it is now! Hope they get the scaling right; any shimmer during scrolling and I am out. God... I have a self-imposed boycott of Konami games, but this... this has got me shook. I'm going to guess that this is a temporary exclusive and later on, this will be coming to the other platforms much like Bomberman R, for example. Awesome. Gonna be happy to pick this up when it releases. I hope they include the Saturn content. Day 0 if that happened. Also rerelease Castlevania Bloodlines ffs. Best classicvania ever made and there are no way to play it apart from buying a used copy of the Mega Drive version. Would have appreciated a bit more content for a collection but the price is solid. Good to see Konami at least doing something worthwhile with the IP again. Maybe this can lead to more CV re-released and/or a completly new project. I'll probably pick this up along with Red Dead. I'm curious to see what's required for the platinum trophy. I'm not a big fan of the Metroidvania type Castlevania games but I'm there day one for Rondo. that sounds like the easiest boycott ever haha. Never played Symphony even though I remember having a used copy ages ago, but I guess its time to give it a shot. Never played either game so I'm on board for this. Nice! Seems like a great port. The original Rondo of the Blood, so you will get the best version. Are we allowed to discuss if another game should be included? Since I still think Castlevania III should've been in it. The collection releases the same day as Season 2 after all. For $20 it's a pass for me since I have the games on other platforms. 12.99 and I'll bite. Will be my firts time playing SotN, hopefully they’ll port the GBA games down the line. Yeah platinum trophy is nice. I got my whining out on twitter so I don't have to dump itt, whew. 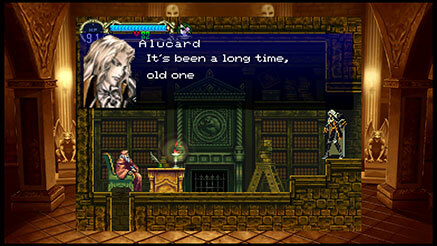 It shows something native to the psp version despite the dialogue being the exact same; Alucard's portrait is flipped to face the right. In the original PS1 release he's facing the left. Edit: BUT you do get to play as Maria! So yay for that. So while the dialogue of the Librarian scene is the same in both PS1 and PSP, the formatting of the text is different and Requiem's looks like the PSP version. If it's $20 or under I might bite. EDIT: Oh wait, it is $20. Nice! Will pick this up! Great games with great soundtrack! Rejoice! Was hoping physical but I'm in for $20. This is going to be a fun Platinum if the blog post is anything to go by. I wonder how difficult some of the trophies will be. Hope it included more feature than just port. more line what X legacy collection do. Rookie mode, More challenge mode. But we will see. This is perfect opportunity to release compilation collection (classic one + wiiware one + gba) with the hype of Castlevnia Netflix and they ruined it. I want to play that wiiware version again also. Such a great remake with Rookie mode to ease newcomer while keep it challenging. Everyone should play Rondo of Blood. The PSP version doesn't have the original voice acting though! Really dissapointed it's just the PS1 SOTN version. That means no extra Saturn areas and music and no playable Maria from the PSP Remaster. It's 19.99 so yes you will bite. Five more bucks for the PSP ports of SotN and RoB but without the remake. Really excited for this. SOTN is one of my favourite games of all time on PS1. Hope it has a platinum trophy for each game too or even just a platinum as quite a few digital games don’t have one still. I never played through Rondo apart from the first stage of SNES version. Which version is this based on? The PSP, Pc engine CD or SNES version? EDIT: just read the blog so it has a platinum trophy. I doubt it will have two of them. But at least it has one. I’m guessinf the tough platinum will be down to Rondo of Blood playing it on hard without continues and/or a speed run or something along those lines. SOTN was an easy Casltevania game and an easy game generally, so I doubt the platinum trophy will be hard because of that game. Seems to be either the PC Engine version or the PSP version. In any case, it is the good version of the game as they are identical. So weird when they make these choices. Would have been nice to get those extra things in (doubt licensing is an issue? ).